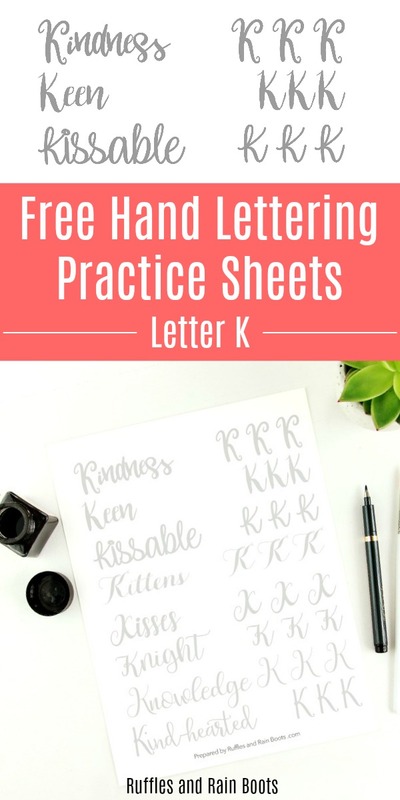 This set of free uppercase letter K hand lettering practice sheets will help you develop bounce, brush, and modern calligraphy styles. 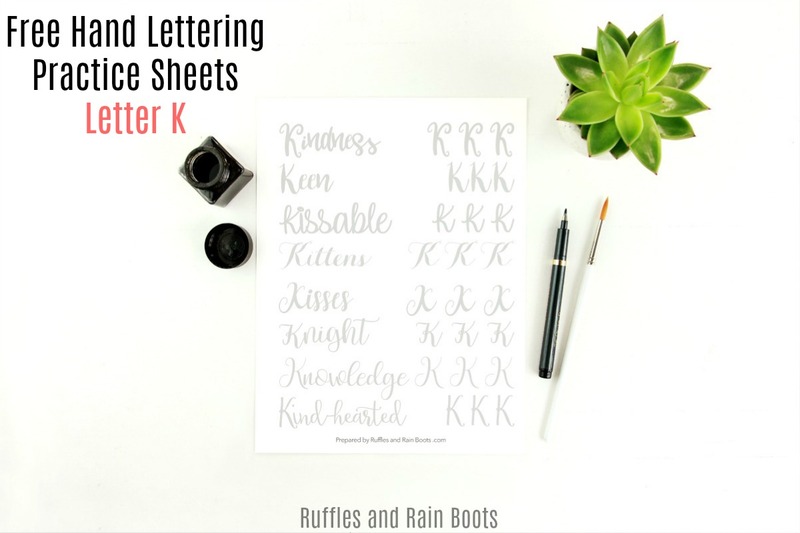 Here at Ruffles and Rain Boots, I love to share the practice sheets I use in my modern calligraphy hobby. Today, I used this calligraphy practice set to make large, sweeping letters with my colored Fude pens (link below) and they turned out well. I have a bit of a shaky problem on the capitals, so I’ll work on moving my entire arm. This week, I’m working on large pen letter K calligraphy practice in a few bounce, brush, and fun styles. Join me – the instructions for how to download the free practice sheets are below. For this letter, I used my trusty Tombows and new paper in addition to the colored Fude small pens. As I mentioned above – if you’re going to practice these large pen sets with small ones, I recommend making sure to move your entire arm. Making the conscious decision to move your arm will reduce shaky lines, I promise. Get the full sets in the Ruffles and Rain Boots Etsy shop. Uppercase and lowercase in ALL styles are included in these inexpensive sets. 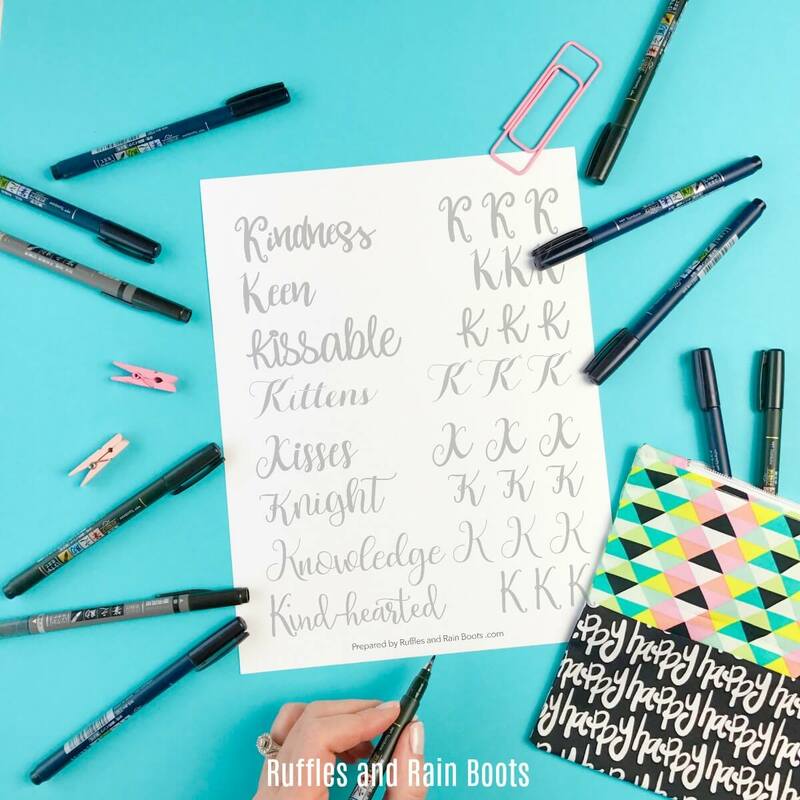 And if you sign up to the Ruffles and Rain Boots newsletter, you’ll get a coupon (included in every newsletter if you already receive it)! 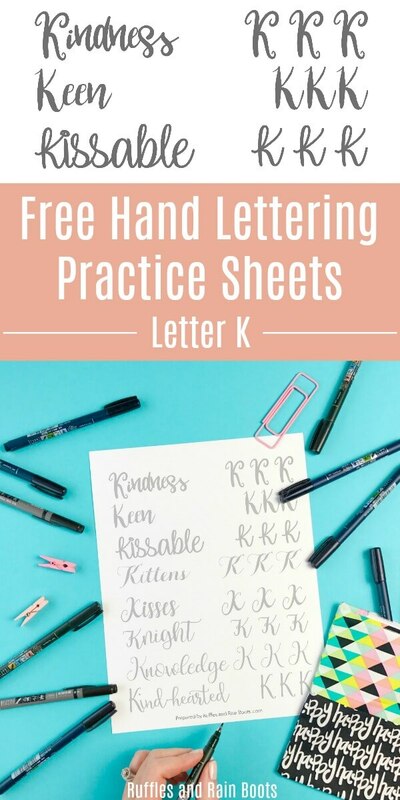 Calligraphy practice sheets are a staple of any lettering hobby. Testing out different pens, styles, and extras are how we define our signature styles.